Funny when you look back how themes recur, because in one of those conversations I was talking about Josef Pieper – and the balance between the four cardinal virtues of Prudence, Justice, Courage and Temperance. As it was yesterday, so it was in 2011 – sometimes it’s good to look back; but not in anger. I’ve been working in the USA this week – same language, quite different working cultures. Still Brits talking to Americans is easy enough. But add Germans, South Africans, Sudanese, Cameroonians, Central African Republicans, French, Colombians, Turks, Japanese and Koreans – and an age range from 18 to 70 and you have plenty of difference to accommodate. The very different people I was working with cared about very different things. They wanted to talk about different things and wanted to do different things. My job was to facilitate and find a collective conclusion. Enough to give me a thumping headache. But not this time. Why? Usually on overseas work trips the combination of travel, missed sleep, wall-to-wall meetings, some sort of set piece event to speak at and produce an outcome from – plus lunch meetings and formal dinners – gives me a throbbing headache by 3pm on day one. It then goes on to throb the whole time I’m away. But this time, no headache. Why? Mainly thanks to an Aristotelian virtue – drawing my courage a little more from confidence than fear. When I first read: “Courage is the mean between confidence and fear” it didn’t seem a particularly significant insight. My first thought was Aristotle was on about ‘courage’ in the sense of ‘fight or flight’ – there was after all a lot of fighting in ancient Greece. Given the clank of metal and the clash of swords is rarer these days, I didn’t think much about Aristotelian courage – one for the battlefield I thought. Who knows whether I’d stand and fight or run into a hail of bullets. Hopefully I’ll never find out. But the more I’ve thought about it, the more I see Aristotle’s point with ‘courage’ is as much about motivation as action. I’ve come to realise that from school to university to the bigger world of work, I’ve used fear of failure as my prime motivation to perform. And it has always worked. Fear failure, worry the detail, think of what might go wrong, fire up the adrenaline, run flat out on intellectual broadband and the job gets done – and well. But at what cost? Stress, tiredness, raggedness, fraught, strung out and brittle. So, thanks to Aristotle, once, a few months ago, when I started to feel the rising tide of anxiety and the throb of the vein in my head – the feeling of spotting and galvanising myself for another tough challenge – I stopped myself. I stopped myself from firing up my fear generator: what might go wrong, might I fail, what will people say, will I look like a duffer – and the killer: will someone say I did a bad job? Instead I fumbled in my kitbag for something else – confidence. This could go well, I know how to do this sort of thing, I’ll be fine, who’s better than me to do this – and if someone says I did a bad job, so what, I’ll learn from it. The first few times I tried to do it I’d readily flip back to fear. I’d have to concentrate hard to find the courageous ‘golden mean’ with confidence. But with practice I’m learning how to plug in and stay more connected to confidence. And the courage to do new things with a smile flows from there. To help me form the habit, I’ve started to think of Aristotle’s courage as a choice between two different forms of energy. 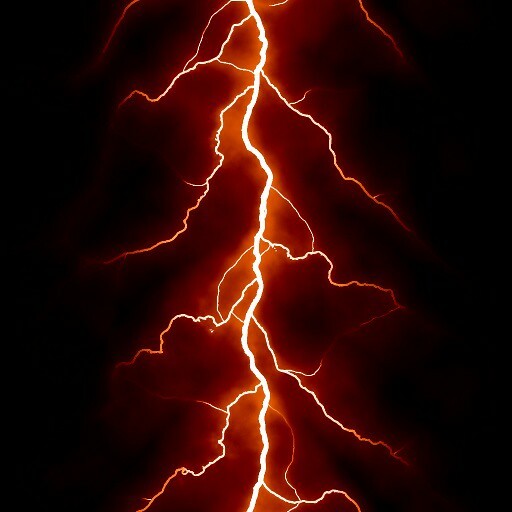 One is red, electrical, crackling and spitting like lightning or charge sparking from a Tesla coil – fear. The other is blue, pure, unwavering like a beam of laser light – confidence. Both work. Both help me get the job done. But the red form is hot, sparky, volatile and the toxic by-products pollute my environment. The blue form is cool, reliable and powers me with clean reusable, renewable and sustainable energy. In the USA I was running on ‘blue energy’ – better mastering myself, enjoying the experience more, enjoying the different people, performing and getting the job done. No headaches, heartaches, worries or lost sleep. I came home quietly pleased, quietly satisfied and with a spot more confidence to draw on. Day to day courage, like the battlefield kind, is the mean between confidence and fear. Developing Aristotelian virtue and excellence is simply developing good habits. And, I’ve come to realise, what is at stake, is developing the courage to live a confident happy life – not one haunted by the spectre of constant fears, real or imagined.